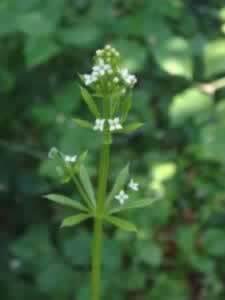 Cleavers main use is to help detoxify body tissues by supporting the lymphatic system, the system that washes the tissues of toxins, and as a mild diuretics. Toxic buildup is thought to be an underlying cause of chronic skin conditions like eczema, psoriasis and acne as well as autoimmune disorders like rheumatoid arthritis. Use cleavers tea as a bath additive or skin wash to treat skin damage from sunburn, rashes and cuts. It makes a good hair rinse for dandruff and dry scalp.